Raised in Palo Alto, California, Ian Armstrong developed a desire for health, fitness, and outdoor activities at an early age. Wishing to maintain close proximity to the outdoors, Ian started off at Humboldt State University and later transferred to the University of New Orleans to study his other passion – jazz music and performance. After several enjoyable years in New Orleans, Ian decided to relocate to San Diego to pursue a Masters of Science in Acupuncture and Traditional Chinese Medicine (TCM) at the Pacific College of Oriental Medicine (PCOM) where he graduated in 2009 with an emphasis in sports/orthopedic injuries. Ian has a long history of working with Matt Callison, first as an assistant in his clinic from 2006-2009, then later as a teaching assistant in AcuSport Education. 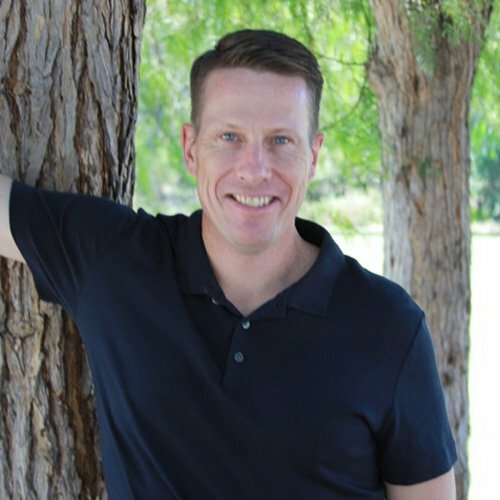 He has been certified in Sports Medicine Acupuncture since 2011 and is now the instructor for the Postural Assessment and Corrective Exercise class in our Sports Medicine Acupuncture Certification Program. In his private practice, Ian has extensive experience treating athletes in rehabilitation and performance. He has spent years working with the elite athletes at Invictus as part of the rehab team at both Regional and CrossFit Games, including their 2014 Affiliate Cup gold. In addition to his private practice, Ian is the instructor for both orthopedic disorders (TOD) and Advanced TOD at Pacific College of Oriental Medicine. He is the current supervisor at the RIMAC center at the University of California San Diego where he supervises acupuncture students in treatment of UCSD collegiate athletes working along side the athletic trainers. Ian is passionate about continuing his craft and education. He is focused on expanding his background in movement, biomechanics and rehabilitation studying a variety of methodologies, some that include: Dynamic Neuromuscular Stabilization (DNS), Postural Respiration (through the PRI institute), Selective Functional Movement Assessment (SFMA), and the Eldoa Method by Guy Voyer.